Timed interval cerebrospinal fluid (CSF) sampling by indwelling catheterization can be a valuable corroborative tool for the pharmacokinetic and pharmacodynamic assessment of drugs. CSF sampling in studies on drug candidates for Alzheimer’s disease have been conducted in evaluations of the biomarkers acetylcholine (ACh), tau proteins, amyloid precursor protein and beta-amyloid fragments. The primary aim of this study was to study the feasibility and the burden on the healthy volunteers of serial CSF sampling within the contract research organization environment in order to establish a standardized research tool for future drug development studies. This study is a validation study in healthy subjects: eight healthy male subjects aged 55–75 years were enrolled. After eligibility had been confirmed, the subjects were admitted to the clinical pharmacology unit 2 days before starting the CSF sampling procedure. Hydration by drip infusion of 2 L saline was performed for 24 h before starting the CSF sampling procedure, and for antithrombotic purposes, Fraxiparine (nadroparine calcium) was given 12 and 36 h after intradural catheterization. CSF catheterization was performed by board-certified anesthesiologists with experience in inserting indwelling intrathecal catheters. Subjects only required to remain in a horizontal position for the first 24 h after removal of the catheter. CSF and blood samples were collected by interval sampling over a 30-h period. The study was completed by seven of the eight subjects. Six subjects who completed the study reported adverse effects (AEs) which were all mild and from which they recovered during their stay in the clinic. A total of 25 AEs were reported of which 13 were considered to be procedure-related. The procedure was well tolerated by all participating subjects, and the VAS scale scores for headache and back pain were low. CSF samples were analyzed for ACh. All values were above the lowest limit of quantification. On average, the ACh concentration started at a low level but rose between 1 and 2 h after insertion of the catheter and then remained high during the whole sampling period up to 30 h.
Serial sampling of CSF in seven healthy volunteers up to 30 h occurred without serious complications and was well tolerated. The CSF collected was of good quality and facilitated the assessment of an Alzheimer’s disease-sensitive biomarker. 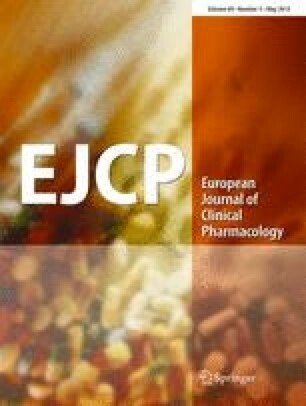 We conclude that this validation study can form the basis for future patient studies aimed at elucidating disease mechanisms and the pharmacodynamics of drugs in the developmental stage. European Agency for the Evaluation of Medicinal Products (2002) International Conference on Harmonisation–World Health Organization. Guideline for Good Clinical Practice. ICH Topic E6. WHO, Geneva. Available at: http://www.emea.eu.int.